MONUSCO IS PLANNING TO FORCEFULLY REPATRIATE RWANDA HUTU REFUGEES THE SAME WAY UNHCR FORCIFULLY REPATRIATED RWANDAN REFUGEES FROM GABON AND CONGO BRAZZAVILLE WHERE MORE THAN 6000 WERE SLAUGHTERED ON THEIR ARRIVAL TO KIGALI. Since 1990s the USA, UN, UNCHR, UK, and Israel have worked so hard to sustain the Tutsi regime of the Rwandan Patriotic Front at the cost of the Hutus’ blood. As some of Rwandans who were young then remember, the RPF invaded Rwanda on October 1, 1990 supported by both USA, UK, and Uganda. They came killing maiming and making sure any Hutu they met on their way to Kigali paid with his/her life. That has been the norm since then. The merciless and brutal massacre of Rwandans has continued since then to this day with blessings from USA,UK, UN, and UNHCR to make sure the Hutu refugees pay with their lives as long as Kagame stays in power in Kigali. This UN conspiracy to murder and neutralize Hutu people in Rwanda, Burundi, and Uganda continues as the USA,UK, and Israel work hard to assist Tutsis to establish and cement their expansionist ideology to establish a Hima-Tutsi Empire in East and Central African region. This empire has plans to start from Djibouti to Gabon which will include: Rwanda, Uganda, DR Congo, Tanzania, Mozambique, Kenya, Burundi, Southern Sudan, Ethiopia, Somalia, Zambia, Malawi, Angola, Central African Republic, Chad, Congo Republic, and Gabon. This is why the RPF government in Kigali continues harassing Rwandan and Congolese refugees found in the aforementioned countries as a way to protect their ideology of Himaism (the expansion of Hima-Tutsi Empire in the region). To achieve this mission Tutsis with their allies in the west have been working hard to harass Rwandan refugees in the region so that they are not trusted by their host countries to share information about the expansion of the Hima-Tutsi empire in the region. Tutsis have also decided to pursue even those who are not Rwandans but understand well the Tutsi expansionism ideology. One good example is the death of one of the Tanzanian politicians and Tanzania's outspoken politician Reverend Christopher Mtikila was killed on Sunday in a Rwandan staged road accident at Chalinze in Coast region. Another example is the incident that took place in Brussels when a Canadian journalist Judi Rever received surveillance through the Belgian Ministry of State Security because her life was in danger due to the RPF hit squad sent to assassinate her in Brussels. Rwanda is not capable of maneuvering all this if it had no support from USA, UK, and UN. In 1996 the USA, UNHCR, UK, Uganda, and Burundi worked together to slaughter the Rwandan Hutu refugees who had exiled into Eastern DRC. In October 1996 USA and UK through the support of UNHCR in the refugee camps their proliferation of arms through the Hutu refugee camps in Eastern DRC they managed to help RPF amry infiltrate refugee camps with the sole aim to kill Hutus of Rwanda and DRC. When the plans hatched the UNHCR stopped providing food to the Rwandan refugees in order to starve them to death and force them to go back to Rwanda where the RPF army was waiting them for butchery. After two months of starvation then the UNHCR moved in the RPF soldiers into the refugee camps in Mugunga, Kibumba, Kahindo, Katale, Kiwanja, Bukavu, Nyangezi, and Masisi. The results of the UN/UNHCR and USA/UK conspiracy was disastrous. More refugees especially women and children were butchered as they tried to flee from the enemy. Close to 200,000 Rwandan Hutu refugees were killed in Eastern DRC refugee camps. Those who did survive the RPF slaughter in Rwanda between 1996-2000 were taken to jail being faulsely accused of committing genocide and yet the true reasons behind their incarceration is purely the “minoritzation” of the Hutu population in the region. A good example of this it is the incarceration of hundred of thousands of minors who come from the Hutu community in Rwanda. The RPF together with the US backed Kabila soldiers managed to bring millions of the Rwandan refugees back to Rwanda and killed them to their own pleasure. Those who survived were put in jails. Majority of these kids jailed by the Kagame regime between 1996-2004 number between 200,000 to 500,000 of the Hutu kids. Some of these places that were assigned for Hutu minoritization in Rwanda are the Iwawa Island on Idjwi in the Lake Kivu, Gikondo industrial park commonly known as Kwa Kabuga, Ririma in Bugesera and Nsinda in Rwamagana. These Hutu minoritization camps are financially and politically supported by USA government, UK, and UN in the preparation of the Kagame’s consitutution change that is taking place now in Kigali. Once the Hutu males are minoritized for over 20 years then Tutsis are sure of becoming majority and influence all political, economic, and social aspects of the Rwandan political institutions thus giving Tutsis leverage of Hutus for the next 500 years. It is in this respect that the UN through the MONUSCO program in Congo they have been working so hard to slaughter the Rwandan refugees in DR Congo through various killings. After realizing that more than a half million Rwandan Hutu refugees don’t want to go back to Rwanda for the fear of being mass-executed by the Kagame regime in Rwanda. After the UN supported killings of the Rwandan and Congolese Hutu refugees in Masisi, Shabunda, Tingitingi, Walikale, and Kiwanja where more than 70,000 refugees were slaughtered by the MONUSCO and Kagame supported M23 the UN hatched another program that called the Rwandan Hutu refugees to Kisangani promising them resettlement opportunities. However when these refugees reached the Kisangani UN concentration camp they were harassed by the MONUSCO. They were denied food, medication, and education opportunities for their children. Remember, the MONUSCO program of starvation was tested first in the 1996 among the hutu refugees in Eastern DRC and now it is being perfected on the Rwandan refugees again who are living in the conctration camps of the Kisangani manned by MONUSCO. 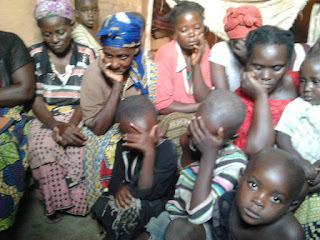 What is hurting is that majority of these Hutu refugees found in these camps are women and children. Actually there is information getting to us that the UN,UNHCR,DRC and the US governments have increased pressure to make sure that Rwandan refugees in DRC are repatriated by force by 2016. The resources continue telling us that the responsible of the entire thing is a Major Rodrique from Benin, who is in charge of the MONUSCO DDRR program and has been harassing the Rwandan Hutu refugees. 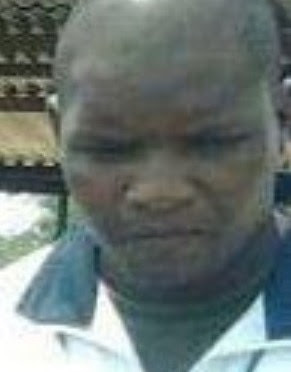 Our sources tell us that the guy has been sleeping in Kigali, specifically in Remera where he has a Tutsi girlfriend by the name Umutoni Angelique. He has also bought a house in a place near Kigali Christian Life Assembly. Our sources still say that Major Rodrigue was introduced to Umutoni Angeligue by Lt Col Jean Paul Karangwa. The RPF has handed over a list of those they want to be deported without any delay. Some of those refugees who are most targeted by DRC/UN/MONUSCO include Maj Faustin MUGISHA and Maj Joseph BIRINDIRO along with 23 other community leaders who are being detained in solitary confinement by the MONUSCO in order to coerce them into into surrendering to the will of the RPF and UN. MONUSCO under Kobler and Major Rodrigue continue to target other refugee’s community leaders such as Yvonne Kayitse, who is chronically ill. We want to conclude reminding the world that there are no other refugees in the world who have been harassed and tortured by the UNHCR AND MONUSCO the same way the Rwandan Hutu refugees have been targeted. We call upon MONUSCO to refrain from continued harassment of the Rwandan refugees and give them peace of mind. UN/UNHCR/RPF/USA/UK have been killing Rwandan refugees for long with no reasons but to protect the Kigali regime at the blood of the Rwandan Hutus.